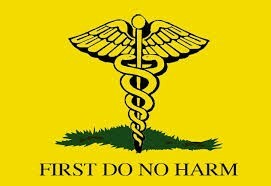 Why don’t international NGOs follow the Hippocratic Oath? It is one of these moments you remember for the rest of your life. Standing in my brand new suit with the index and middle finger of my right hand raised, saying “so help me God’’, I completed the Hippocratic Oath, and became a doctor. I’ve forgotten the colour of my suit and the marvellous dinner afterwards, but the content of the oath frequently crosses my mind. The Hippocratic Oath is one of the most widely known Greek medical texts. It requires a new physician to swear to uphold medical ethical standards practiced by doctors in many countries worldwide. The following sentence is the central aspect of the promise: “I will apply, for the benefit of the sick, all measures which are required, avoiding those twin traps of overtreatment and therapeutic nihilism’’. The Hippocratic Oath is the invisible backbone of the daily activities of a doctor. The supportive friend which you can rely on when making life and death decisions. The ethics which bounds all doctors worldwide. One oath universally utilised and respected. Almost five years after taking the Hippocratic Oath, I started working in a remote hospital in Africa. And the hard work commenced; with limited resources, few educated staff and an infinite stream of patients mostly in advanced stage of their diseases. Frustrating from time to time, but the most frustrating aspect was not the patients, but the international NGO (INGO) that deployed me. My direct supervisor and senior manager had no recent clinical experience, and therefore weren’t comfortable making medical related decisions. Protocols and guidelines were mostly written by non-medics. Decisions were made from behind laptops in air-conditioned offices miles away from the clinics. The people making these decisions conducted field trips at the beginning of their employment – with the main purpose of taking pictures to send home – but did not visit regularly. Frequent staff meetings were prioritised over patients care, even though it could impair patient’s outcomes as patients had to wait for their medication, food and examination. Diseases with quick onset, such as acute infectious diseases (cerebral malaria in children, Ebola viral disease), acute surgical (appendicitis, bowel strangulation) and obstetric (obstructive labour, fetal distress) emergencies need urgent medical intervention – delay in medical handling does negatively affect a patient’s outcome. So delaying treatment should be seen as in conflict with the Hippocratic Oath. Equally shocking to me was the lack of mid-term evaluation and monitoring, and the lack of interest in improving the provided health services. Monitoring focused on quantitative ‘outcomes’, such as the number of patients triaged, discharged and numbers of particular diagnoses. There were no pre- or post-admission interviews to monitor patient’s satisfaction. There was little consideration of whether patients had the right understanding of the purpose of the services, what treatment patients received, or whether diagnoses were made correctly. In addition, there was little discussion of how to build improved national health systems. A national health worker could receive on the job training by working alongside more experienced international colleagues, but we never discussed how that might influence the national health system in the long run. The INGO focused on obeying the policies and demands of overseas donors. We medics ask for the respect and space to use the values of the oath in our work. To have an efficient health facility in place, that enables a doctor to have sufficient time with the patient in order to answer questions and give an explanation on the proposed therapy. To have a patient-minded policy that doesn’t prioritise the costs of additional diagnostics above patients’ wellbeing. To respect the anonymity of patient’s information and outcomes, without manipulating diagnoses which might influence the value of the upcoming donor grants. We ask for medics to be fully supported by the management of the project, valuing the ethics of the medical profession in accordance with the historical oath. Decisions should be made by staff at the field level, who understood local customs and needs. As it was, decisions were made by donors who rarely visited the field and so lacked the technical understanding that should inform the creation of regulations and policies: placing the right of the patients as the key priority. INGOs running medical projects should hire more medical experts who have recent clinical experience and the up-to-date knowledge needed for that particular project, even if they work in managerial positions. INGOs should support them by working at the field level as much as possible, or at least undertaking regular useful field trips. An essential part of the work of medical expats should include supporting and empowering local medical staff. With this in the back of our minds, let us set aside the top down mindset that has gradually crept in to the medical practice. Let us please reconsider the importance of the Oath of Hippocrates, and use it as the start and end point of our medical aid projects, both in the western world and in low- and middle income countries. The patients will be grateful, and so will the donors eventually. Are we about to witness the breakdown of one of Africa’s smallest nations? With so many other things going on in the world, Burundi hasn’t yet made the front pages of newspapers outside of East Africa, and we can only pray it doesn’t. But the current situation suggests there is worse yet to come – whether physical violence, floods of refugees, political demise or all of the above. Upda te on 10 May 2015: On Friday, President Nkurunziza officially launched his campaign for a third term by filing his candidacy. Horrible pictures of murdered and injured citizens have been filling social media this week – including that of a pregnant woman apparently dragged from her home. As the situation seems to be worsening, numbers fleeing the country have risen to over 50,000. Leaders across Africa are getting involved and calling for dialogue – Uhuru (Kenya). Tanzania’s Foreign Minister, Bernard Mwembe, announced that EAC Heads of State will meet to discuss the Burundi crisis in Dar on May 13 and President Zuma of South Africa is sending an envoy to help diffuse the situation. On Saturday a one day truce was held but overnight protestors have set up barricades again in defiance of the President’s order to end activity within 48 hours. Opposition leader, Agathon Rwasa, has also filed his candidacy – though he clarified he did not see this as an endorsement of Nkurunziza’s third term but rather in respect to the country’s law. 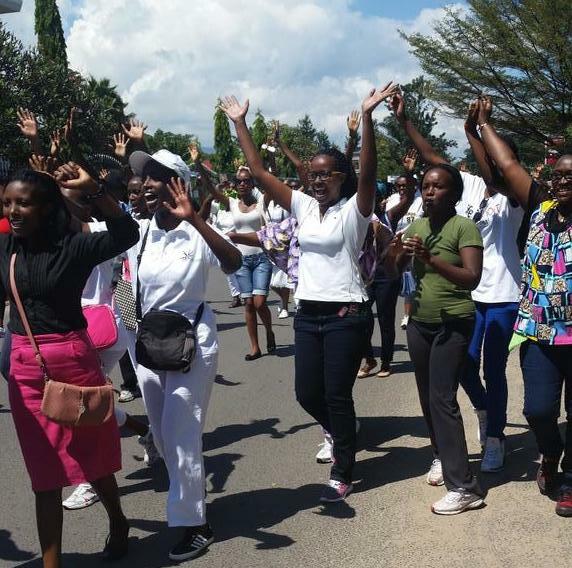 Mothers Day (Sunday) started with an all female protest – police appeared confused – in the centre of Bujumbura. The African Union has said elections cannot take place under these conditions resulting in harsher crackdown on protestors. Diaspora demonstrations continue, particularly in Canada, Kenya. Ambassador Samantha Power has voiced what many have been thinking – the fear that events in Burundi could destabilise the region and lead to other crises. The Prosecutor of the International Criminal Court, which Burundi has been a State Party since 2004, made a statement on 8 May, sharing her concerns about the growing tensions and said her office would not be scared to investigate if crimes within the Court’s jurisdiction were committed. Original Blog: On 25 April 2015, a series of protests were organized in Bujumbura, the capital of Burundi, contesting President Nkurinziza’s bid for another term in the upcoming elections. Under the Arusha Accords, the peace agreement that ended the civil war, the president is not eligible for re-election. The President’s supporters claim that the President has only served one term, for in 2005 he was appointed by Parliament and not elected by general suffrage. Since the start of the protests, social media and radio have been shut down, curtailing freedom of speech and media. The closure of these venues of communication has intensified rumours and fear in the country. The majority of the population only have access to two radio stations, the government-owned RTNB and the party-affiliated RemaFM. Locals report that the messages being broadcasted on RemaFM are ethnically-charged (though open to interpretation), in an attempt to shift the conversation regarding the president’s bid in the upcoming elections as well as to regain support. Together, these developments have led almost 40,000 Burundians to flee to neighbouring countries, particularly Rwanda (21,000), DRC and Tanzania (over 2,000). Tanzanian officials have warned that we could see a humanitarian crisis. Inside the country hundreds have fled to foreign embassies seeking refuge. On Saturday 2 May, the Minister of Defence and the Minister of Public Security both made public statements. While the former asked the military to act in accordance with the spirit of the constitution and the Arusha Agreements that ended the decade-long civil war, the latter stated that they do not want any more protestors propping up a “terrorist enterprise”. The public statements come after a military officer was shot and killed by an intelligence officer and two police officers were killed in the grenade attacks of Friday, May 1, 2015. Although the discourses of the two security institutions diverge, it is highly unlikely that the police and military would confront each other. The question of whether or not the military will stay united is less easy to answer. Starting on Monday 4 May 2015, the protests recommenced in full force, with reports that three protestors or four protestors had been killed and many more injured. The deaths included a 12 year old boy. Following the fatalities, the former leader Domitien Ndayizeye called for the President to withdraw, whilst from Nairobi, U.S. Secretary of State John Kerry said Nkurunziza seeking a third term “flies directly in the face” of Burundi’s Constitution. Yet things got worse on Monday afternoon. Burundi’s Constitutional Court was due to decide on the legitimacy of Nkurinziza running for another term, when it was reported that Sylvere Nimpagaritse, Vice President of the Court had fled to Rwanda. Nimpagaritse has apparently said that four out of the seven judges were against another term and it now appears that three of the judges have fled the country. The Minister of Defense has said that he would deploy the Army if necessary. The Constitutional Court has now backed the Presidency’s bid for another term. 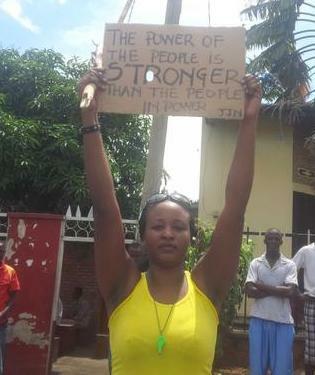 The response was clear: “It is a clear message to the people that they count for nothing”. It has since been reported that police fired rounds on the protestors leading protesters to use leaves as camouflage and branches as fake weapons. On Wednesday 6 May in the evening the President addressed the nation and stated that if re-elected this, his third, would be his last term (read the full statement here). Africa responds to African problems: Ministers from the East African Community (EAC) are travelling to Burundi to help with finding a solution for the political unrest. This comes in the wake of a UN led mediation between civil society and political groups started yesterday. In support, the diaspora and others have organised rallies e.g. in London and Canada. The hashtag #Sindumuja which means ‘I am not a slave’ in Kirundi is being used by many to share their concerns, grief and anger on twitter. Concern is spreading on social media to the Rwandan community and it cannot be denied that there is a fear for the peace of this delicate but beautiful part of East Africa. An EU election observation team is due to deploy shortly (@MoeUeBurundi). At the moment, it is unclear how this conflict will be resolved. For many, succeeding in the protests may become a matter of life and death. The election is due to take place on 26 June 2015. Neighbouring Tanzania has a similar situation coming up in October, when the incumbent Kikwete is also ineligible for a third term and there will be a general election in Ethiopia on 24 May. For latest information, see this crowd map.